The ketogenic diet requires using food products that allow you to cook, bake and adapt normal high carb recipes to fit your low-carb lifestyle. With keto staple products like almond flour, Erythritol, coconut flour, psyllium husks, Xanthan gum and liquid Stevia you can keep your diet interesting and super tasty! 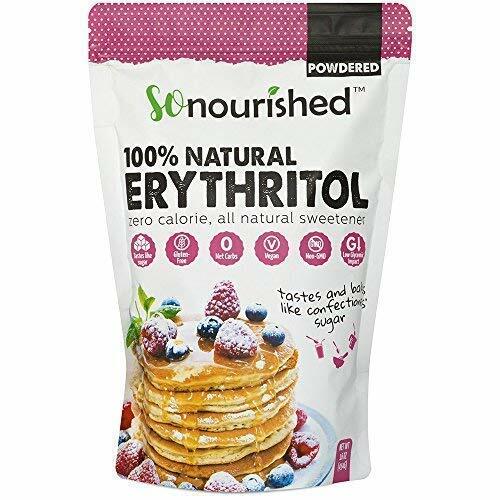 So Nourished Erythritol is a sugar alcohol naturally found in fruits and vegetables and has 0 calories & 0 carbs and sugar replacement with little effect on blood glucose. It’s a fantastic sugar substitute for those following a ketogenic diet because it has 0 net carbs. 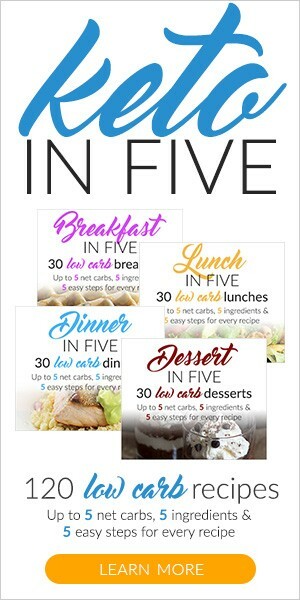 It’s a great option for diabetics, low carb dieters and anyone looking to do any baking and sugar-free recipes. Our favorite is from So Noursihed sweetener because it tastes the best and comes in 16 ounce/1 lb bags and 40 oz/2.5 lb bags of granulated erythritol. 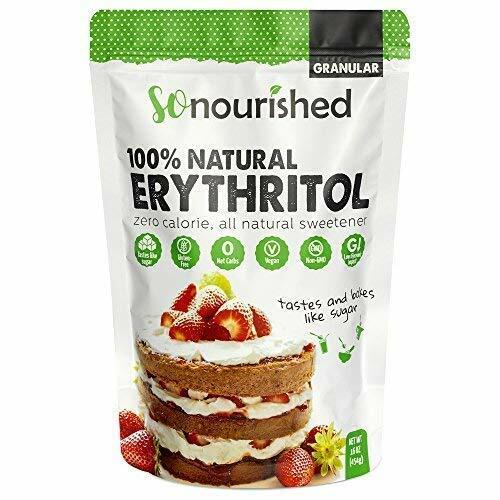 So Nourished Erythritol is a 100% natural zero-calorie sweetener sugar alcohol naturally found in fruits and vegetables and has 0 calories & 0 carbs and sugar replacement with little effect on blood glucose. It’s a fantastic sugar substitute for those following a ketogenic diet because it has 0 net carbs. You can use the confectioner’s sugar for things like icing or ice cream or anything you would normally use a powdered sugar. Our favorite is from So Nourished sweetener because it tastes the best and comes in 16 ounce/1 lb bags and 40 oz/2.5 lb bags of granulated erythritol. So Nourished Monk Fruit sweetener is just as sweet as sugar and their flavors are very similar.It contains zero calories and has no harmful side effects. Unlike most alternative sweeteners, there is no bitter or chemical aftertaste. 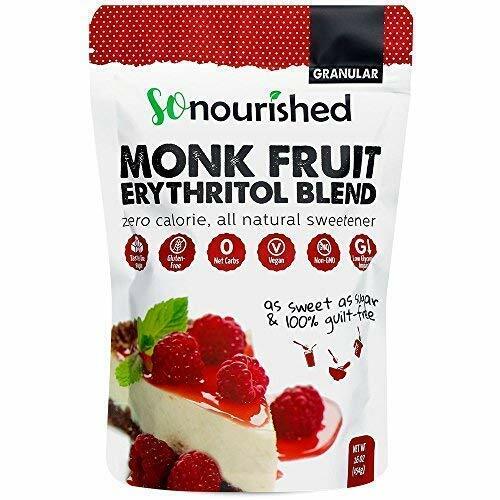 This is perfect for low carb dieters and you can use So Nourished monk fruit erythritol sweetener just as you would sugar in cooking, baking and sweetening drinks like tea and coffee. 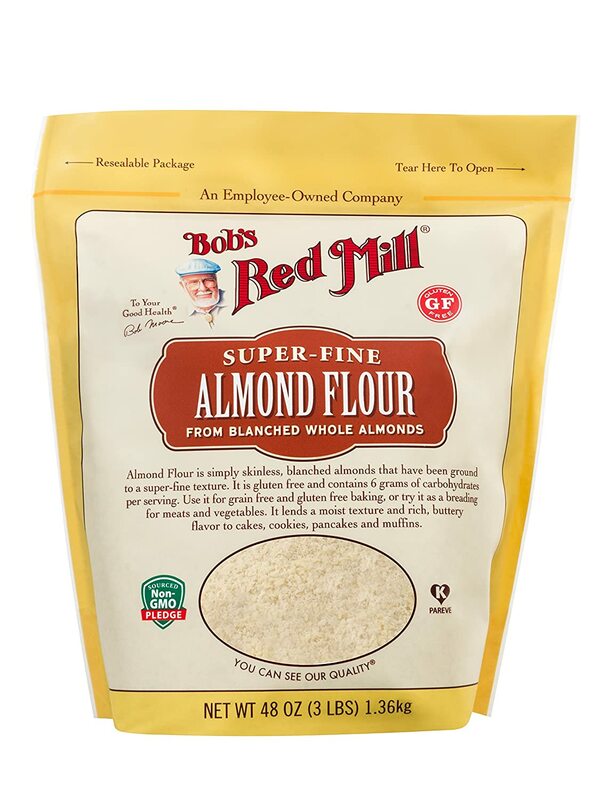 Bob’s Red Mill Super-Fine Gluten Free Almond Flour is a great replacement for regular flour. We use this in recipes like FatHead pizza dough, cheesy keto biscuits, low carb keto tortillas and much more. Using a finely ground blanched (husks removed) almond flour like this one from Bob’s Red Mill is great and reasonably priced when purchased in this 3 pound option. 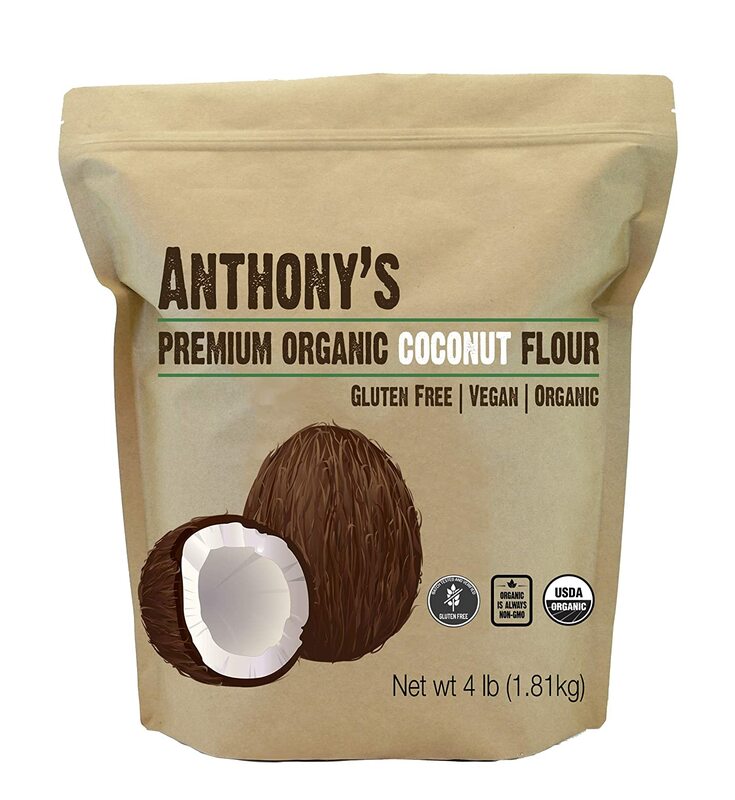 This organic non-GMO, gluten-free Coconut Flour from Anthony’s is a fantastic high-fiber, low-carb, healthy alternative for baking. A little goes a long way since it’s very absorbent compared to almond flour so this bag will last you a long time. Because most of the carbohydrates in coconut flour are fiber, it has minimal effect on blood sugar and insulin so its a perfect choice for ketogenic baking. 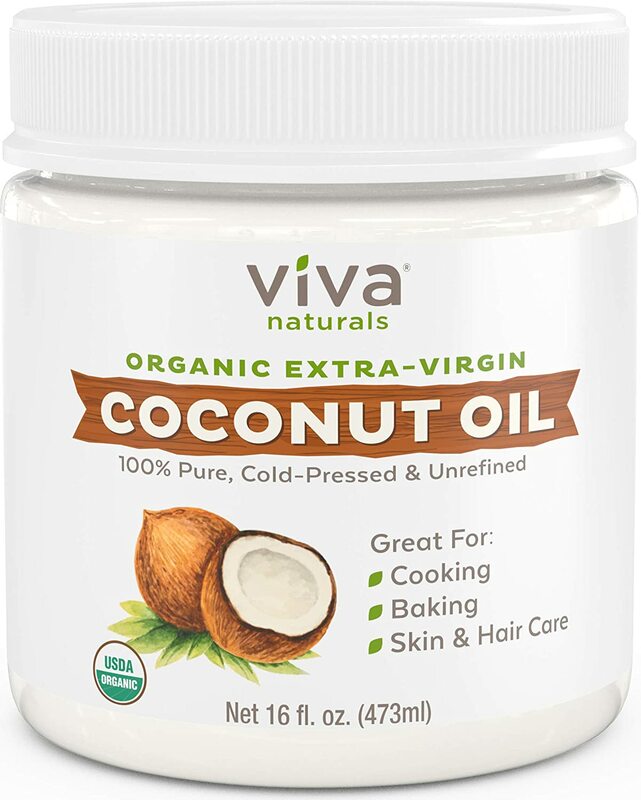 Viva Naturals Organic Extra Virgin Coconut Oil is our favorite choice for coconut oil because it is unrefined, organic, and cold-pressed to preserve MCTs which are great for people on a keto diet. 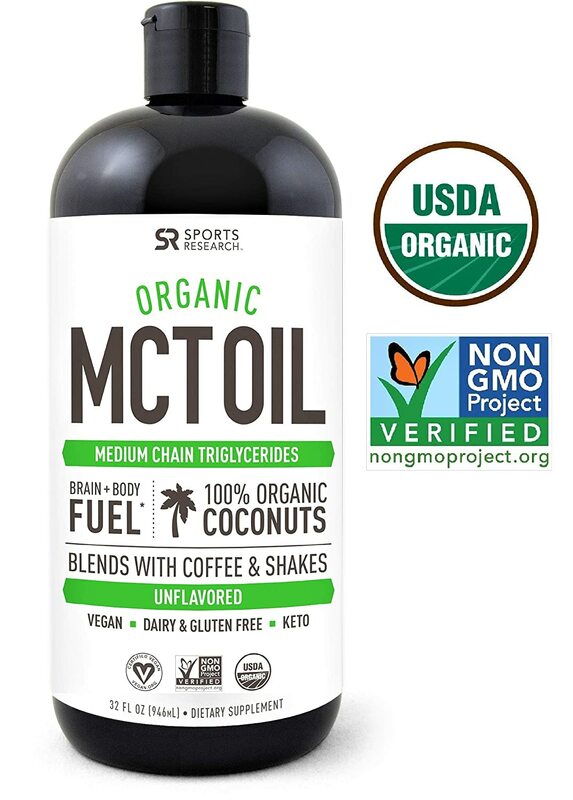 This coconut oil is perfect for cooking, baking, mixing with coffee or applying to your skin and hair and it tastes great! SweetLeaf Stevia clear liquid extract has zero calories, zero carbs, a non-glycemic response, and no artificial sweeteners making this the go-to sweetener for everything from coffee, protein shakes, fat bombs to sweet desserts. When combined with Erythritol in recipes that call for granular sugar is a perfect combination. Stevia is much sweeter than sugar, and you only need to use a tiny bit. Adding Viva Naturals Organic Psyllium Husk Powder to baked goods like biscuits, muffins, and bread makes the texture more like real bread because psyllium husks act like a gluten would in traditional baking by making the starch free flours stick together. 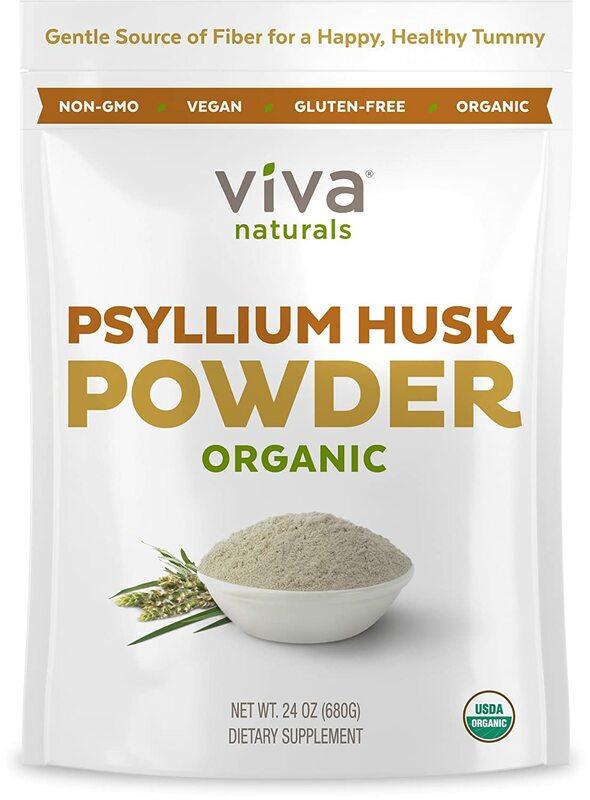 A side benefit of psyllium husk powder is you can use it as a fiber supplement if you have trouble going to the bathroom. 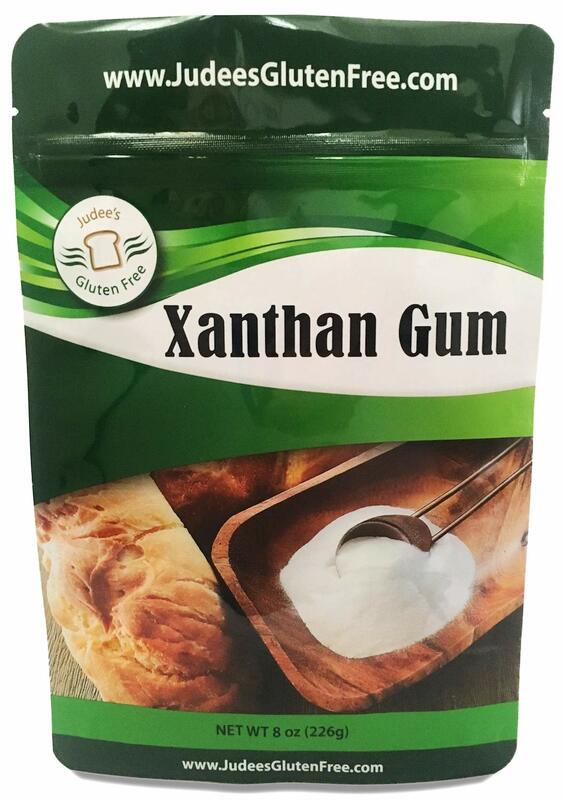 Xanthan gum is excellent for thickening liquids, using tiny amounts, to turn them into flavorful sauces and gluten-free baking. You can use it as a thickener, stabilizer, emulsifier, but we mainly use it as a thickener. Viva Xanthan gum is a net carb free ingredient that will last you a long time. It is a must-have in your keto kitchen. A juicer is a handy appliance when you’re in a hurry. It will allow you to get your meals in liquid form when you’re on the run. Check out the best price on quality juicers here. Flour, an essential baking ingredient, is a high carb food. 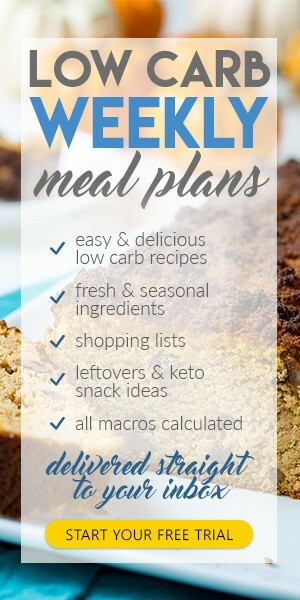 Fortunately, there are plenty of low carb substitutes available that will allow you to produce baking delicacies without blowing out your carb count. Here are 9 alternatives that will give you the freedom to bake to your heart’s delight, knowing that the treats you’re pulling from the oven are low carb. A digital scale will help you to stay honest on your keto weight loss plan. Measuring by weight will help to keep your recipe true. Check out the best price on digital kitchen scales here. Coconut flour is completely sugar free. It’s protein rich and full of fiber. Rather than producing a coconut rich flavor to your baked goods, it will remind you more of vanilla pound cake. The high fiber content makes it very filling. Plus, it’s gluten free. And, because it absorbs a lot of water, you only need 1/3 as much flour as the recipe calls for. A high powered blender will, not only allow you to whip up the smoothies in this section, you’ll also be able to puree sauces with ease. Check out the best price on quality blenders here. Although containing more fat than coconut flour, almond flour will result in a baked product that is moist and tender. It is made from ground almonds, giving a high protein content. However, it’s quite a bit more expensive than coconut flour. A food processor is an essential tool in the keto kitchen. You’ll want a processor that comes with special blades and disc attachments that allow it to mince, grate, shred, chop, knead, blend puree and liquefy. You’ll also want a unit that has a cover over the work bowl with a feeder tube that allows you to feed ingredients in while it is operating. Find the best deal on food processors here. Yes, that whey powder that you put into your shake is also an excellent replacement for sugar. Good protein powders will contain an emulsifier which will readily absorb liquids. Look for powders that contain no artificial colors or flavorings. You also want a powder that contains fewer than 6 grams of carbohydrates. You should also look for a powder that gives you 20-30 grams of protein per serving with less than 300 calories in total. The best types of whey protein or isolate or hydrolysate which have taken out the lactose, fats and cholesterol. They are also pre-digested to allow for super fast absorption into the muscle cells. This is especially important if you are taking your protein as a post workout amino acid replacement. A salad spinner is the fastest way to dry salad greens and herbs. Some salad spinners even combine washing and drying functions. Check out a great salad spinner deal here. Pumpkin puree can do a great job as a replacement for high carb fruits or other ingredients, resulting in a moist end product. You can also use it to replace bananas, which are high in carbs. It goes great with coconut flour. You’ll be able to make low-carb vegetable spaghetti with this tool, adding texture and substance to your keto meals. Find the best spiralizer deal here. Use apple sauce to replace oils and sweeteners in recipes. It’s low in sugar and allows you to use fewer eggs in your recipes. A meat thermometer is the most accurate measure of when your meats are ready. Simply insert it into the cooked neat to get an instant readout of the internal temperature. Check out the best price on meat thermometers here. Steaming is the gentlest way to cook vegetables without losing nutrients, a vital consideration on a keto diet. Check out the best price on steamers here. Unsweetened cocoa powder will act like self rising flour, while also adding texture and sweetness. That means that you won’t have to use as much sweetener. It will also give more depth the recipe. A mandolin is a useful tool for slicing, ribboning and julienning your vegetables quickly and easily. Find the best mandolin deal here. Chia seeds are great to sprinkle on your low carb baking. They soak up liquids, proving fiber and giving your baking the benefit of omega-3 fatty acids. You can even buy it as chia flour. If you choose to use the flour, you’ll only have to use half the amount called for in the recipe. A zester will allow you to quickly add the zest of the fruits like lemons, limes and oranges to your recipes. Check out the best deal on zesters here. Flax meal, which consists of ground flax seeds, can be used as a flour substitute. Even though it has a higher fat content than the other four substitutes mentioned above, the fats are of the healthy omega-3 variety. In addition, flax meal is a fantastic source of fiber, meaning that it will fill you up faster. Check out the best deal on food savers here. Raspberry Ketone Plus is a fat loss supplement built around the weight loss benefits of raspberry ketones. Raspberry ketones have been getting huge media attention lately. The reason is that they have been clearly linked to rapid weight loss through their ability to increase the levels of adiponectin. Raspberry Ketone Plus actually contains 8 cutting edge ingredients designed to super charge your fat loss completely naturally and safely. As well as promoting fat burn, you will get a huge energy boost when you take Raspberry Ketone Plus. Along with losing weight, you will be a far healthier person when you take Raspberry Ketone Plus. That’s because there are a whole host of anti-oxidants in the product. What’s In Raspberry Ketone Plus? Raspberry Ketones (20 mg per serving): Raspberry ketones are the compound that provide raspberries with their aroma and flavor. They have been shown to increase lipolysis, which is the breakdown of fat. It has been revealed to increase the body’s natural release of adiponectin from fat cells. Adiponectin helps speed up the metabolism and regulate the levels of blood sugar in the body. Acai Berry Extract: Acai Berry extract is packed with health enhancing anti-oxidants. These will work with the other ingredients to supercharge your immune system. Caffeine: Caffeine is the world’s most used stimulant. It will give you a guaranteed energy hit. It will also speed up your metabolism to help you burn fat faster. It is included in Raspberry Ketone Plus to allow you to workout harder for longer. This will allow you to burn even more calories and lose more fat. Green Tea Extract: The antioxidants contained in green tea namely ECGC and polyphenols, have been proven to contain anti obesity and fat destroying properties. This is due mainly to their effect on the metabolism. Green tea extract can also lower cholesterol. Resveratrol: Found in the skin of red grapes, resveratrol is packed full of antioxidants. It has been found to prevent inflammation and prevent the oxidation of LDL, bad, cholesterol. African Mango: African Mango, the seeds of the fleshy West African fruit, has made waves recently over its ability to promote fat loss, and lower both cholesterol and leptin levels in test subjects. Raspberry ketones regulate adiponectin. Adipontectin is a protein in your body that is responsible for glucose regulation and fat metabolism. When there is a higher level of adiponectin, there will be a lower level of body fat, which will lead to weight loss. Higher levels of adiponectin have been shown to control the metabolic problems that come with type 2 diabetes, obesity, heart disease, non-alcoholic fatty liver disease and metabolic syndrome. Raspberry Ketone Plus contains a lot of other anti-oxidants and fat burning products, such as a African Mango, Acai Berry, Resveratrol, Apple Cider Vinegar and Grapefruit. 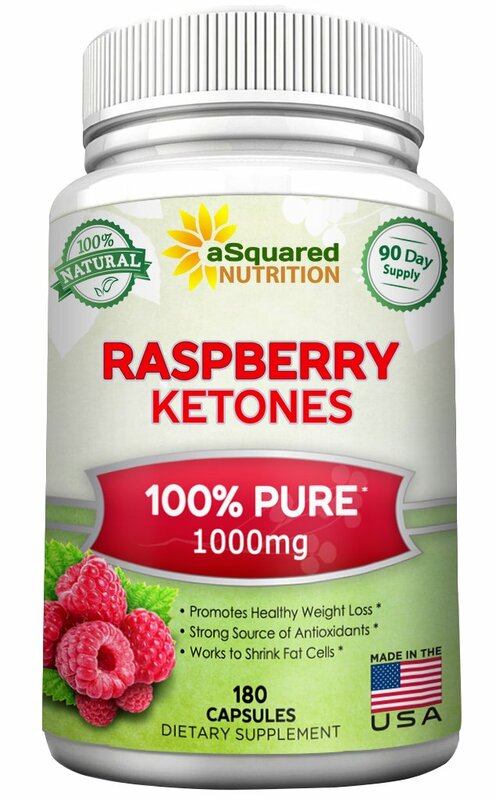 Raspberry Ketone Plus sources all of its ingredients from natural origins. You will not be introducing any artificial ingredients into your body. That gives you the confidence that there are absolutely no side effects with this product. Be sure not to exceed the recommended dosage to stay within safe levels of all ingredients. Take one capsule at breakfast and another at lunch time. Two capsules of Raspberry Ketone Plus will give you 200 mg of raspberry ketones. For best results you should exercise three times per week. You should also eat sensibly. Raspberry Ketone Plus is a cutting edge supplement that has taken the proven weight loss benefits of raspberry ketones and added 7 more effective health-boosting ingredients to provide a super supplement that will get you slimmer, more energetic and healthier. We definitely recommend this product.